The Queen's Baton Relay Came To Town Yesterday! Did you see it come through? 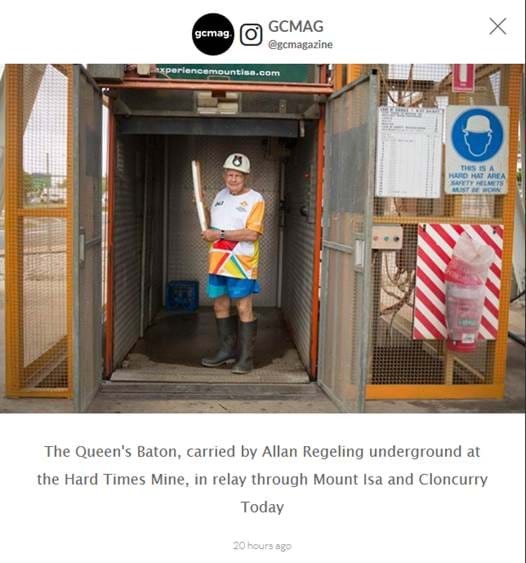 The Queen's Baton relay came through town yesterday, making its way past Mt Isa before reaching the Gold Coast for The Commonwealth Games in April. The weather conditions meant there had to be some last minute detours to the relay and meant the community celebration at Buchanan Park Entertainment Centre was forced to move inside. Did you see our Sales Manager as a batonbearer in Mt Isa? Did you cheer on the Queen's Baton Relay through Mt Isa?